Do You Have Resume Questions? ASK THE EXPERT Has Answers! 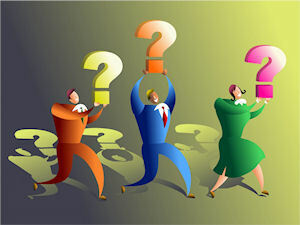 If you have resume questions or questions about other aspects of job hunting that you would like to ask, or if you have a problem you would like help with, please let us know at "Ask the Expert". When it comes time to learn – attempt to master – a new skill, it is inevitable that questions will arise. I found that out when I started getting lots of questions in my email from job seekers like yourself who had read the information here, but still had unanswered questions. So... I decided an Ask the Expert section of the site was in order! Hey, I'm not an expert in everything having to do with careers, but I do have a lot of real-world experience... and I read a lot. So you can be pretty sure I'll give solid advice and resume writing tips here. Writing a great resume isn't the easiest thing in the world. Nor is creating a great cover letter to go along with it. And don't get me started on dealing with the stress of job interviews! I mean, where the heck do they get some of those questions, anyway?! But the good news is, I'm here to help you. Ask your resume questions, cover letter questions or job interview questions and I'll do my best to help you. Or, if any of my readers who are here have input, you're free to comment on any of the questions you see here as well. After all, this is a community, and the prevailing philosophy here is "help and be helped". Some call it paying it forward. I've broken the question topics into categories, to make the pages shorter and less overwhelming... and to make it easier for you to find any answers that have already been posted to questions similar to the ones you have. Also, on many of the topics, are archived Q&A too, so look for the archive page link on each of the pages below. Over the past year, we've accumulated quite a few questions here. Please look through the various categories below to see if your question has already been answered. If it hasn't, then please feel free to send in your question by filling in the short form on the relevant page, and I'll post an answer here as soon as I can. Thanks for sharing your concerns and/or resume questions with us!